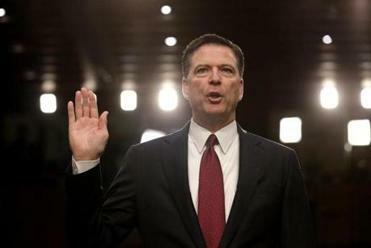 Former FBI director James Comey said that whether justice was obstructed was a question for recently appointed special counsel Robert Mueller. WASHINGTON — Former FBI director James Comey on Thursday essentially laid out an obstruction of justice case against President Trump and suggested senior leaders in the bureau might have actually contemplated the matter before Trump removed him as director. Legal analysts have said previously that there was reason to believe Trump might have obstructed justice — both in asking him to shut down the probe into Flynn and then, later, in firing Comey. Comey’s testimony, they said Thursday, clarified and bolstered the case. 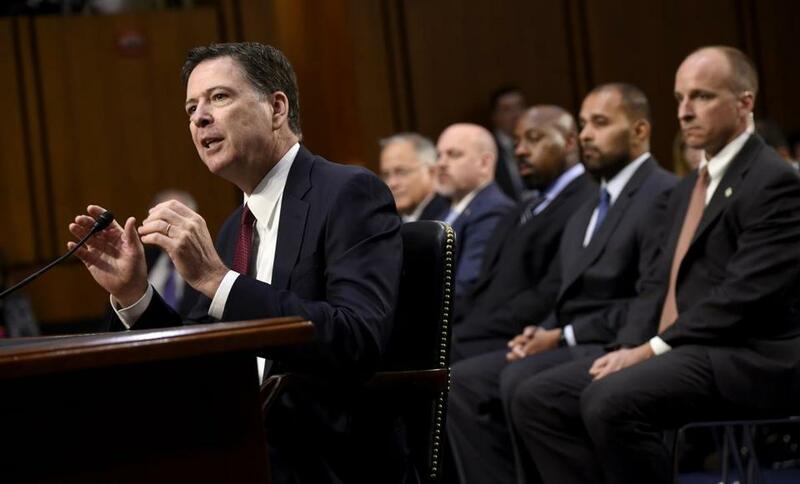 In a hugely anticipated hearing, fired FBI director James Comey is recounting a series of conversations with President Donald Trump that he says made him deeply uneasy. His concerns were realized almost immediately. In a meeting just after Trump took office, Comey said, Trump brought up his job as FBI director and asked for loyalty. Comey said he felt Trump was ‘‘looking to get something in exchange for granting my request to stay in the job.’’ The FBI director is generally appointed to a 10-year term to avoid political influence. The next month, after a counterterrorism briefing, Comey testified that Trump asked him to stay for a one-on-one conversation. He said both Attorney General Jeff Sessions and Trump’s son-in-law and close adviser Jared Kushner lingered behind — in Comey’s view, because they were leery of what might happen next. Comey allowed, under questioning from Senator James Risch, an Idaho Republican, that Comey did not outright give him an order. ‘‘He did not direct you to let it go?’’ Risch asked. ‘‘Not in his words, no,’’ Comey said. But Comey later said he took the president’s assertion as akin to a command. Comey also noted that he was fired — by the president’s own account — because of the Russia investigation. While Mueller could ultimately conclude Trump obstructed justice, previous Justice Department legal opinions say he could not indict or charge a sitting president. Congress, though, could impeach the president — which makes Comey’s testimony before legislators all the more important. But Comey’s assessment of the situation, he said, was critically important.